The Student Representative Council, affectionately known as the SRC, is a program which actively involves students in their own education and welfare, develops leadership skills and empowers students to make a positive contribution to the school community (Peer Support Foundation 2006). Stromlo's student leadership structure consists of 3 levels: Student Representative Council, House Captains, and School Captains. The school captains are the student leaders of the school and are elected by the student body. Captains Year 10 students who are shortlisted on the basis of their applications for the position. The school captains represent the student body to the staff and school Board, and actively participate in the school decision making process. 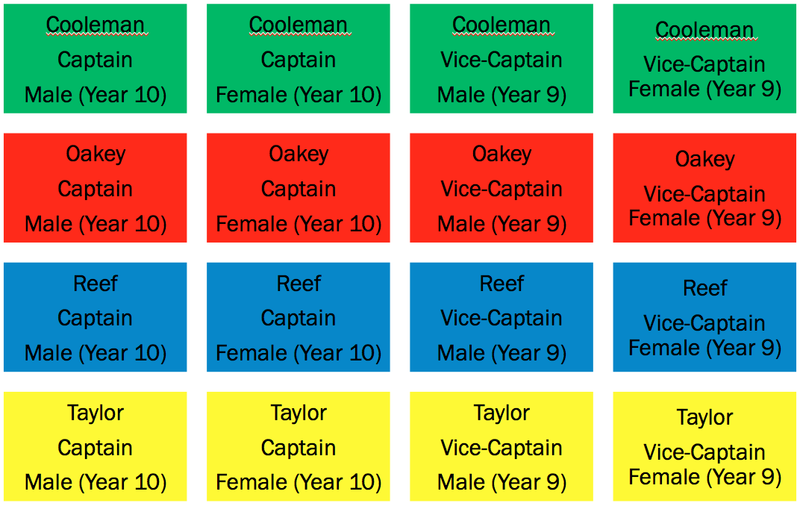 The house captains are comprised of a year 10 female and male captain, and a year 9 female and male vice-captain for each of the four houses at Stromlo High School - Cooleman Crocodiles, Oakey Redbacks, Reef Sharks and Taylor Tigers. 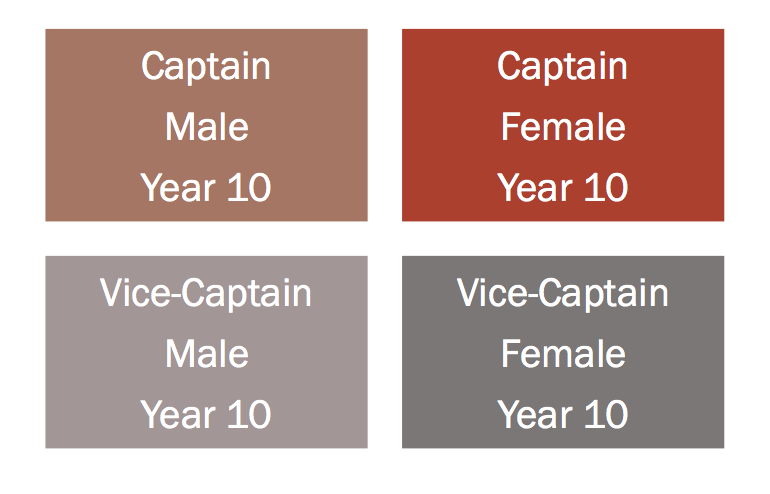 Students who wish to become a House Captain of Vice-Captain must write an application and are selected by the panel on the basis of their application's merit. The House Captains attend major school events and build pride and community within their House. The students also work closely with the PE faculty to provide sports reports at assemblies and encourage participation and enthusiasm for sport at the school. The SRC is comprised of 16 students: 4 students from Year 7, Year 8, Year 9 and Year 10. Students who are interested in being elected as an SRC Representative need to submit an application at the beginning of the year, outlining why they would like to be on the SRC and what they would aim to do in that role. All the applications are then shortlisted before the voting takes place. Each year level holds their own elections where students can vote democratically for the applications that they feel will best represent the student body. providing exemplary behaviour and leadership for the student body. The Student Representative Council promotes activities such as dance parties, school initiatives and fundraising in the interest of creating a safe school environment and a positive school culture. Money that is raised by the SRC throughout the year is used for student driven projects across the school, to assist charities and for students to take part in leadership development programs. In recent years some of the money has been spent on improvements around the school, and other initiatives such as house bins and the new trophy for the school's house competition. The School Board has two student members, elected by the student body at the beginning of the school year. Student members of the School Board fulfill important functions within the Board by ensuring the student body is considered in all matters before the Board. The student members also report on the work of the SRC and significant events occurring at school relating to students. Positions are advertised in February each year. Any student of the school may nominate themselves to be considered for the student member positions. If more nominations are received than positions available, an election is held. Only Mount Stromlo students can vote in the election of student members. Student member positions are usually filled for two years, however if the previous year's election resulted in both positions being filled by year 10 students, the positions are re-advertised the following year to ensure they are occupied by current Mount Stromlo High School students. More information about School Boards can be found here.